Happy Anniversary to Australian Garden History! 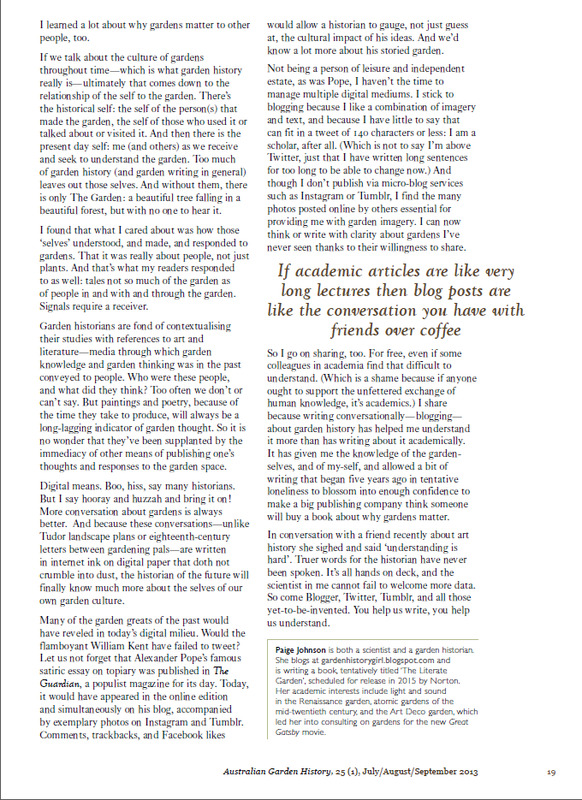 I was pleased to be part of a special 25th anniversary issue for the journal of the Australian Garden History Society, with remarks on that most overused of new terms, 'new media', and its relevance to our discipline. 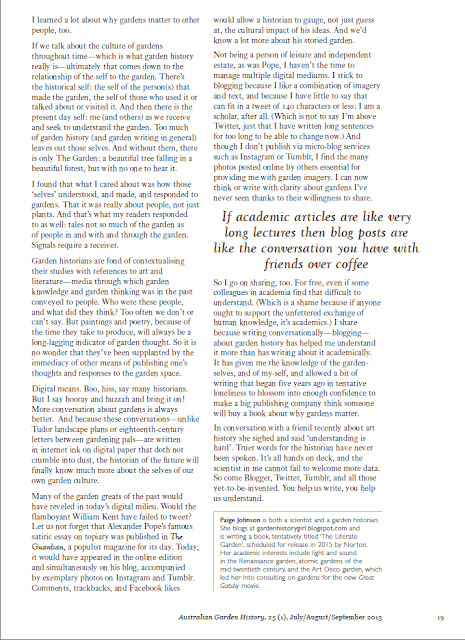 You can read my thoughts in this post, but the AGHS has made the entire issue available online, with contributions from other esteemed garden writers like Andrea Wulf and my fellow Bristol alum and 21st century Rococo Shepherdess Laura Mayer. Happy Anniversary to Australian Garden History! 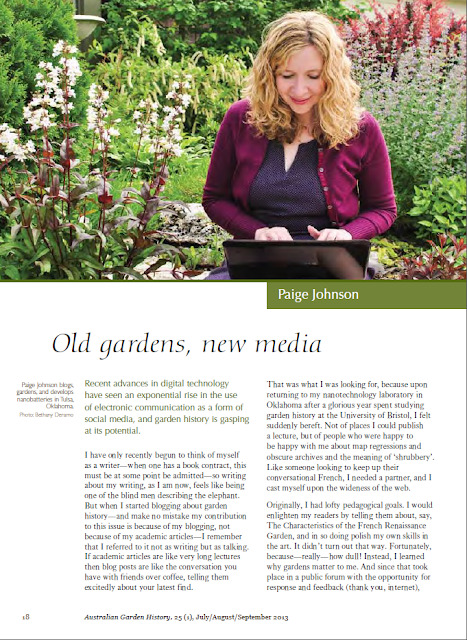 If you have an interest in our green and pleasant subject, you can do no better than to join your local/national garden history society. I am not good at keeping up my lists of links, but if you know of a society I should add to the short list in the sidebar, just leave a comment. Hi from a new admirer. I've an odd question coming from the past tulips and tulipmania. The virus causing breaks was not identified till 1928, during the Dutch frenzy and overall enthusiasm for broken tulips that continued - WHY did no-one realise the bulbs were doomed??? Surely they would have recognised a "problem" with flared colors? Hoping you know more than I do since could not find any info on this.